Thorn Sreyneth is sponsored by Rob from England for US$50 per month. Sreyneth was born in April 2007. She is the eldest of four siblings. Her parents both toil as low paid construction workers. In the evenings, her grandmother is tasked with preparing food for the whole family. 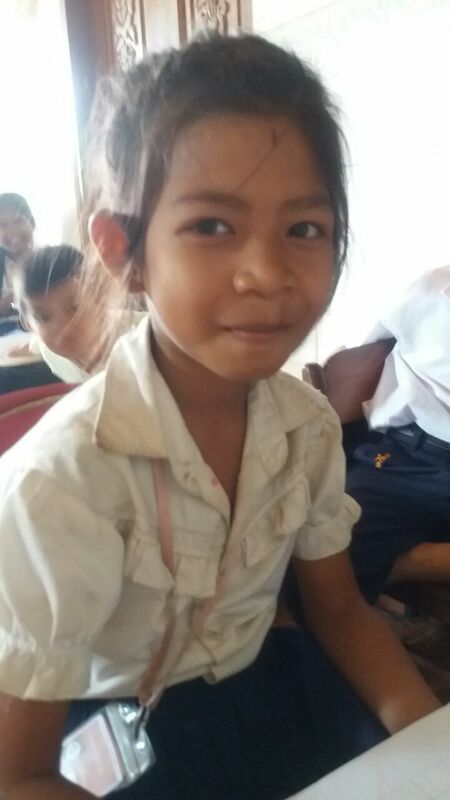 Every week day, Sreyneth makes the trip to the Choice centre in the Choice water truck. She studies in grade 2 at government school. Much of her free time is spent washing clothes for her family members. 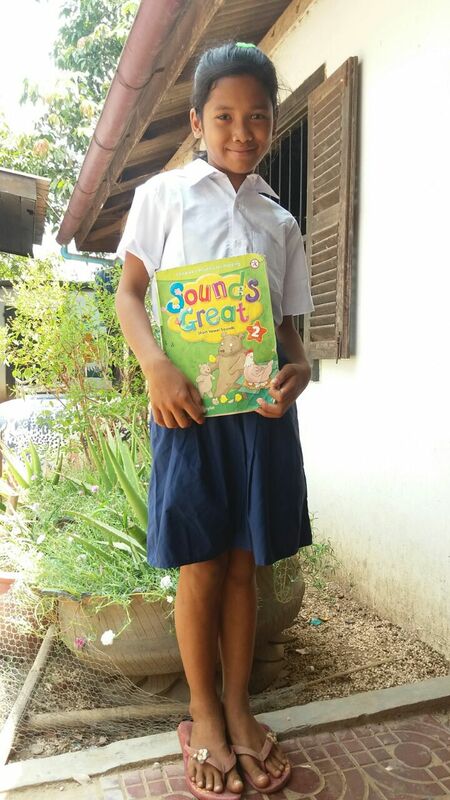 Despite her devotion to helping at home, she still finds time for running, reading and drawing. 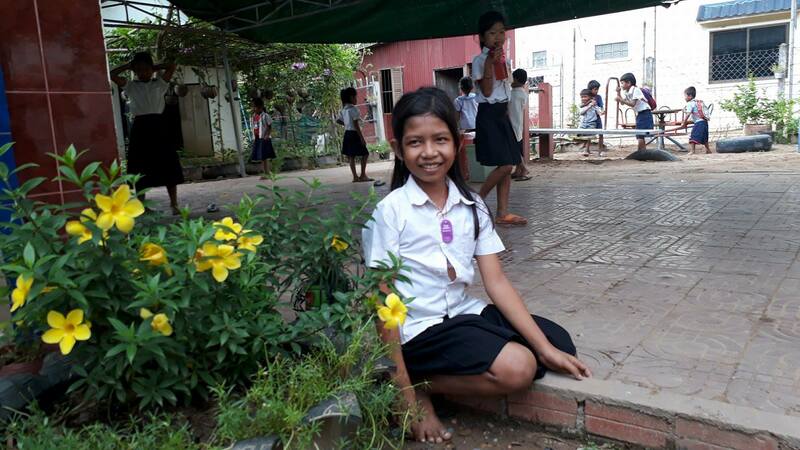 A girl who has deep respect for her teachers, Sreyneth’s aspiration is to follow in their footsteps. She may indeed be a Choice English teacher in years to come. 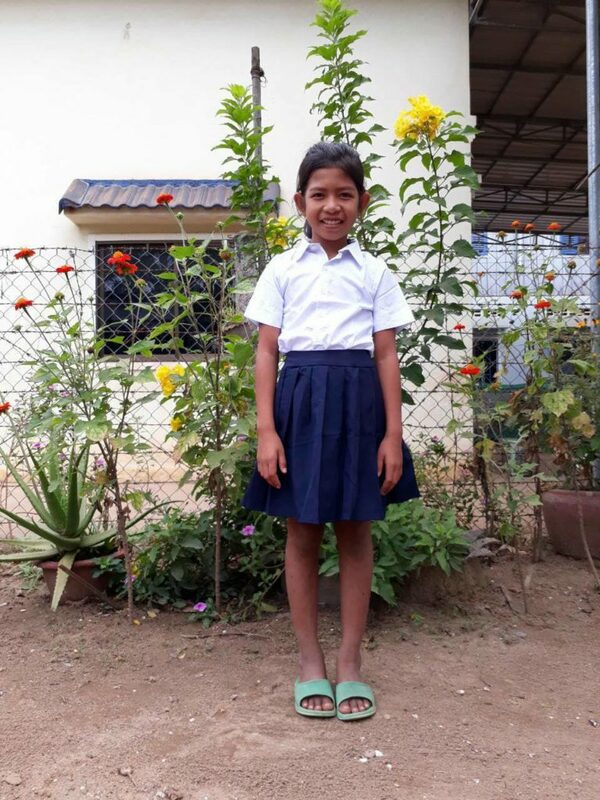 Sreyneth is a happy and quiet girl but she becomes more confident and talkative now. Her grandparents brought her to live in another province and she missed the class about a week. 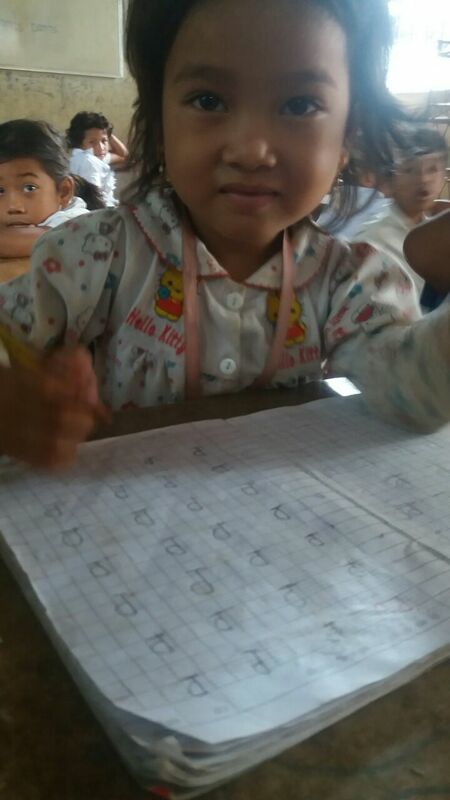 Luckily her grandparents decided to come back to the village and let her come back to class. Finally, she still managed to pass her English exam. 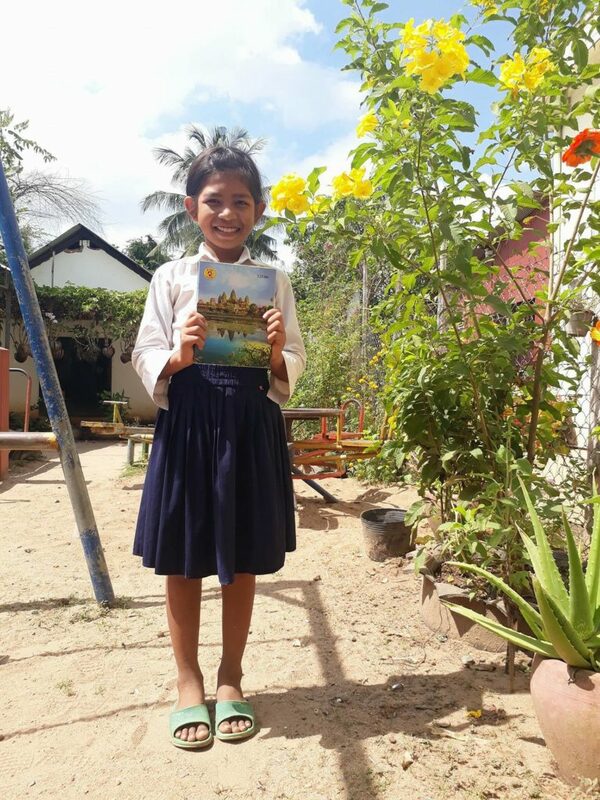 Sreyneth has passed her Phonics and English exams in Grade 3 and she moved to Group C. She continues to learn more advanced English and Phonics and now also starts to learn computing. 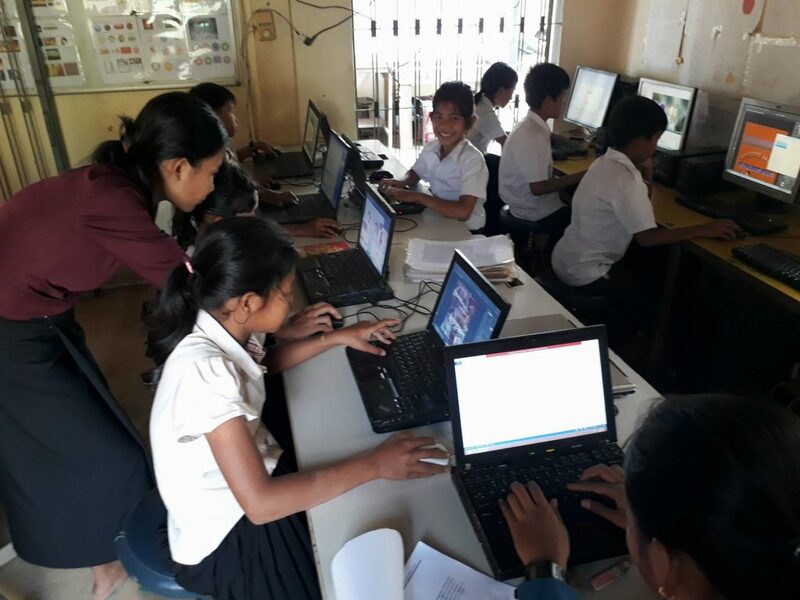 She is so excited with her computer class. She is currently learning to use a Qwerty keyboard and remembering its layout and is improving day by day. 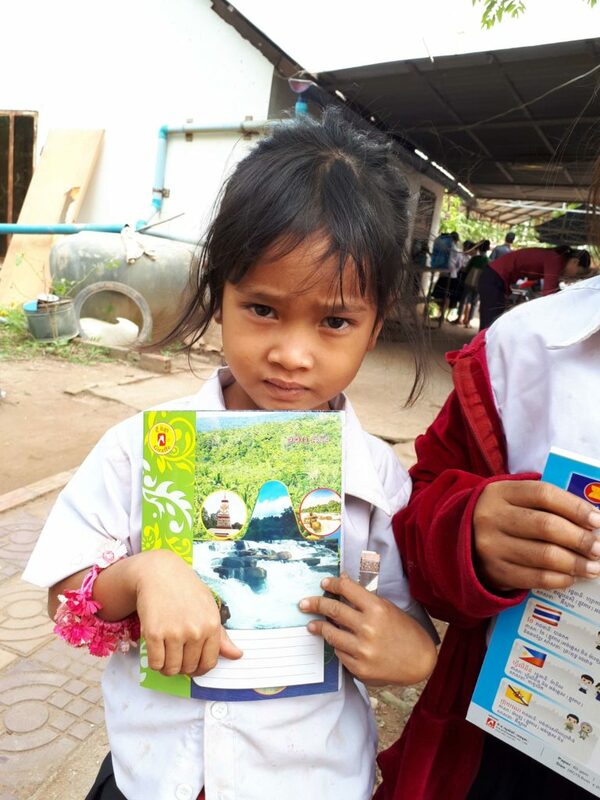 Sreyneth is ready for her government school, she receives 8 notebooks for grade 4. 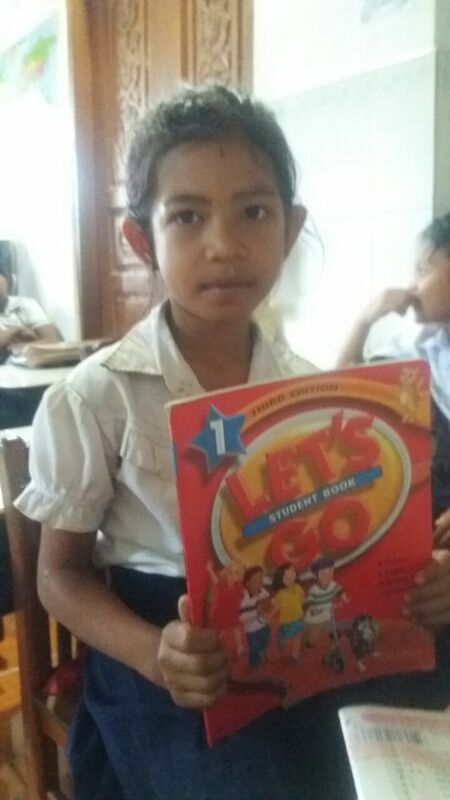 Sreyneth is doing really good at government school. She passed grade 3 and moved to grade 4 this year. Lily Pheab is a charming little girl aged 4, she wins every ones heart. 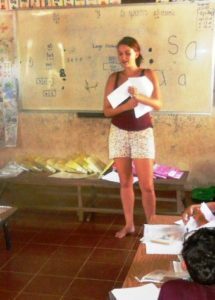 She was originally sponsored by Richard Jones from Wales at US$50 per month. He started on 1/08/2014 and finished in March 2016. Lory and Max from Italy have taken over this sponsorship from April 2016. 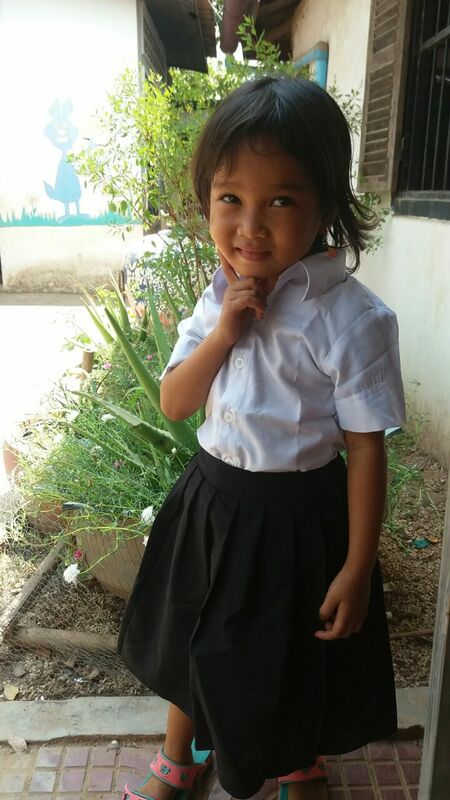 Lily with her new school year uniform, October 2017. Lily just passed her English final exam and now she is in grade 1. Rom Reaksmey was sponsored by Tally Edwards (Koren) from England at US$50 per month until the end of March 2016. Neil Burns has now taken on the sponsorship of Reaksmey from the beginning of July 2016. 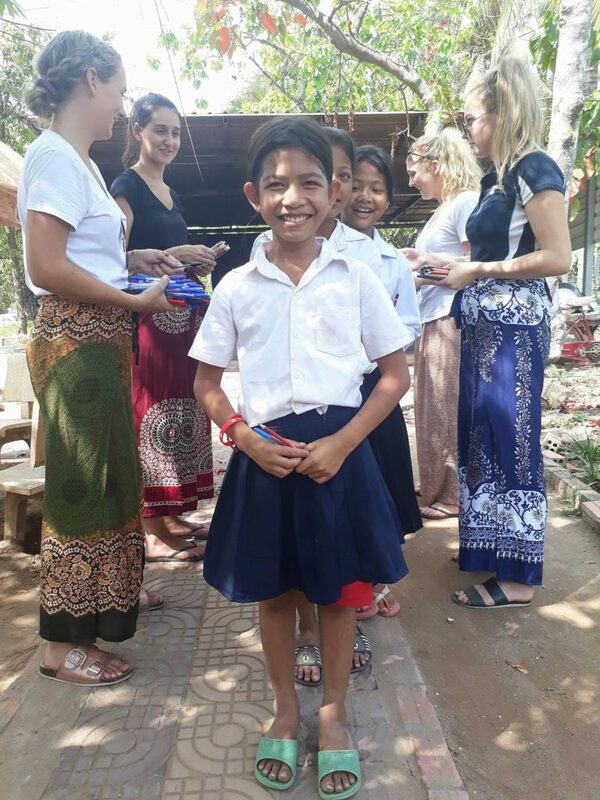 Reaksmey is one of the poorer students from our Cancer Man village. She is 12 years old. In her free time, she likes reading books and drawing. Her favorite sport is running. Her favorite subject is English. She always comes to Choice on the water truck. Her parents are casual construction workers. She has two sisters and one little brother. 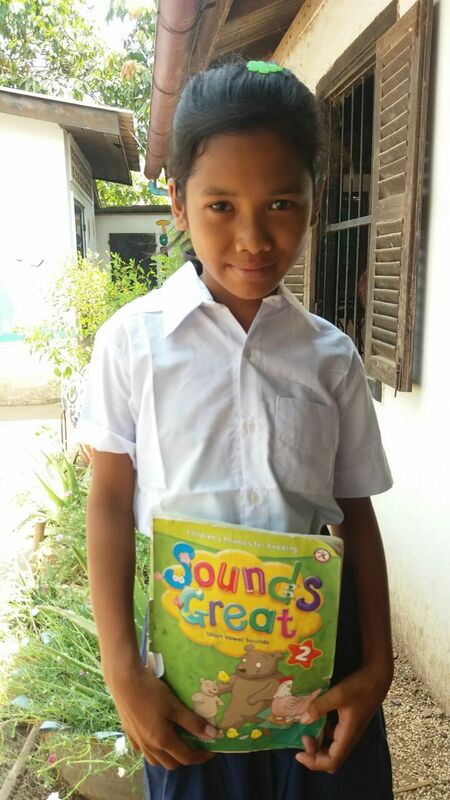 She is in grade 4 at the government school and is in grade 1 at our Centre. She really loves studying at Choice and she wants to be an English teacher at Choice in the future. 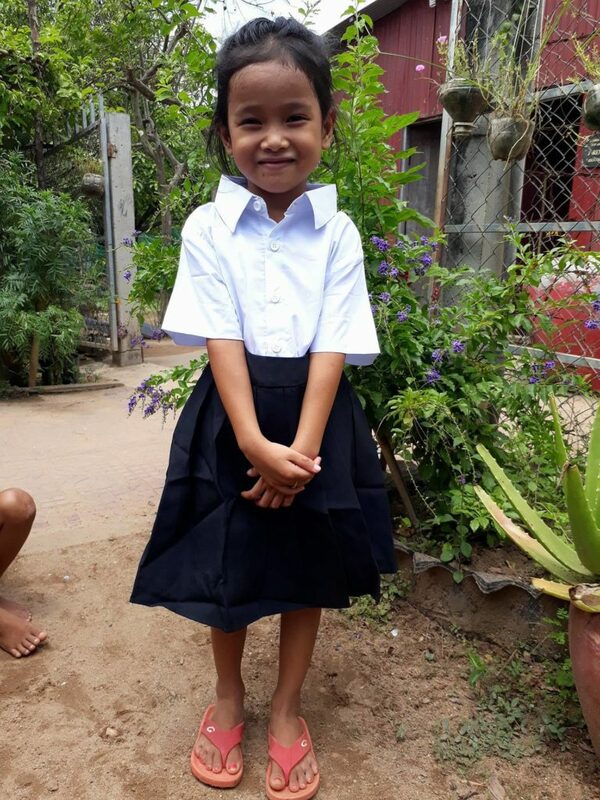 This is Reaksmey in her new school uniform that was made at the Choice centre and given to her in early May 2016. 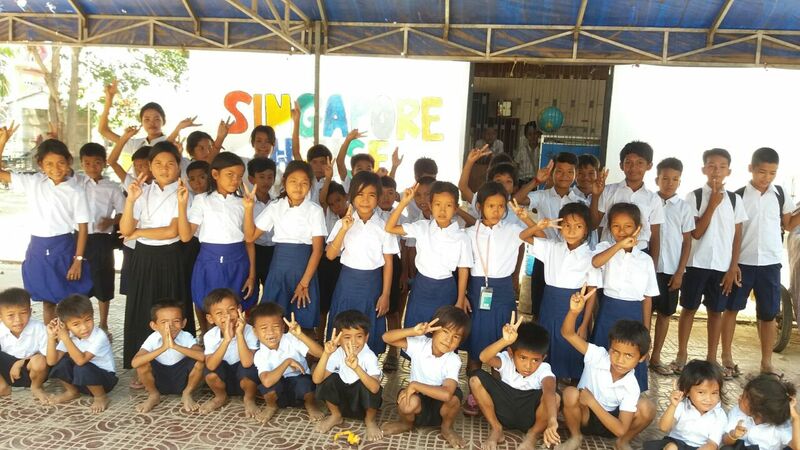 This week the Choice students from the poor villages received a school uniform set each. This twice-yearly event is much appreciated by the students as the photo below shows. 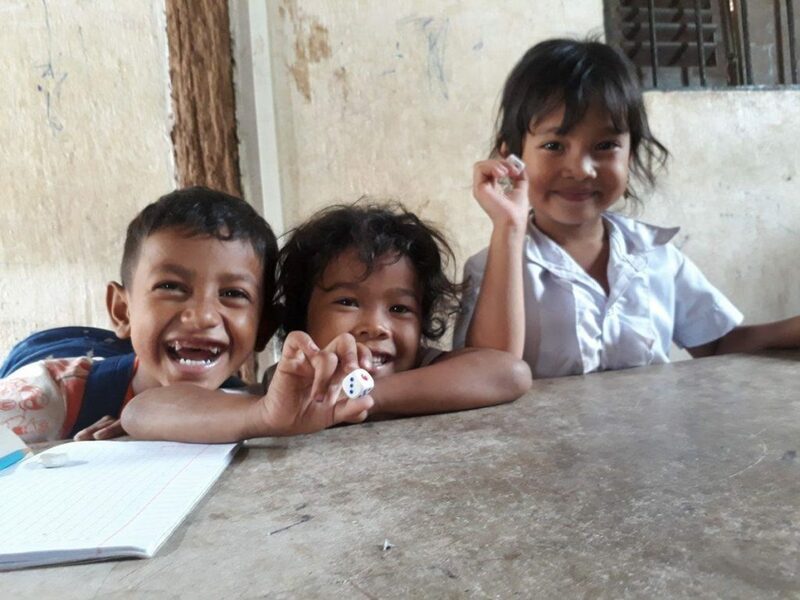 The uniforms were made last year at the Choice centre, by the sewing ladies in the sewing room, before it was converted into a library.